Picture courtesy of Visions International. RT8 figures in a Ministry of Information photograph purporting to show the early morning run-out from Victoria garage. In reality the only Victoria-based bus is the STL on the 137. 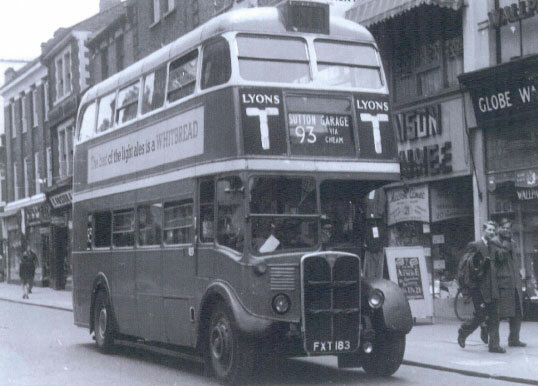 Seen on the Chiswick High Road, operating as a trainer on 17 April 1958. This was taken we think n the late 1940’s whilst the bus was still in London and is probably an insurance photo showing accident damage. 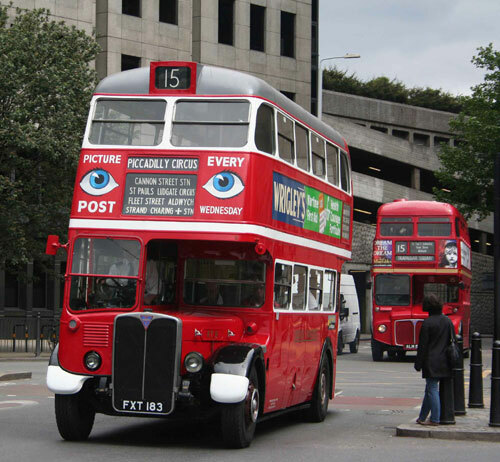 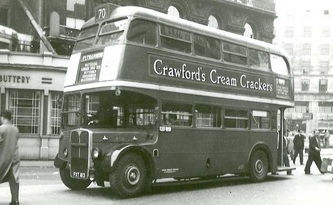 Seen between March 1947 and summer 1953, RT8 wears the immediate post war livery of cream surrounds on the upper windows, whilst working on the 93's. 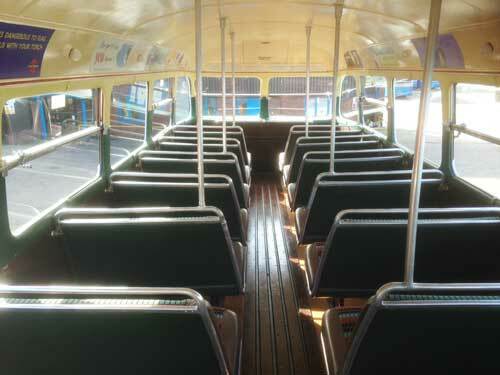 Note the restricted blinds from wartime shortages still in use as well as the number stencil behind the lower deck rear window, something RT8 would lose at its 1953 overhaul. A beautifully restored pre-war RT. 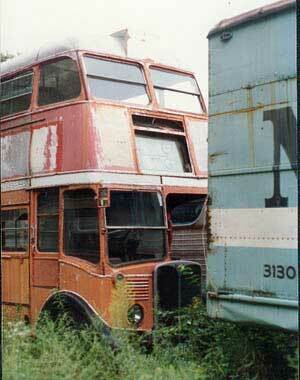 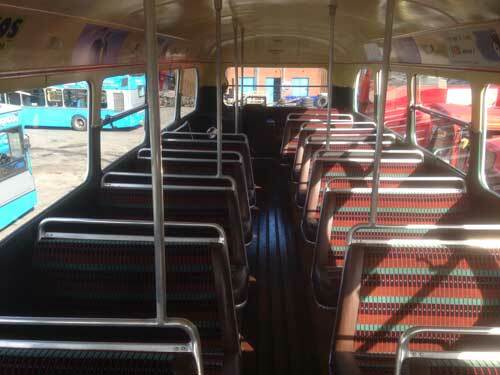 This bus has been restored to museum quality. 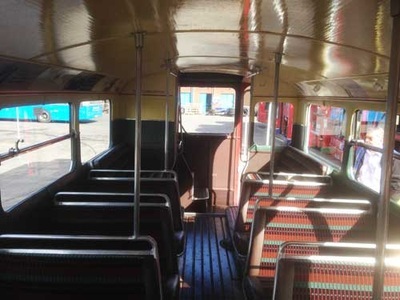 An absolutely stunning example of a pre-war London RT, and the only one available for commercial hire and reward and able to carry passengers commercially. 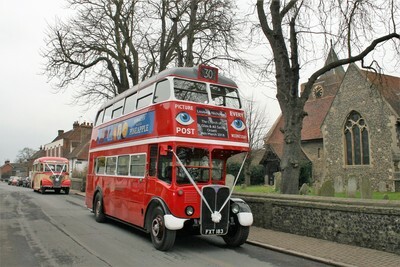 Perfect for weddings or if you simply want that vintage wow-factor for your event! 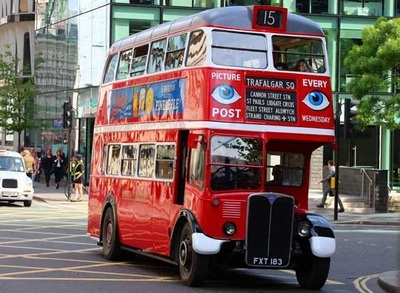 RT8 is a true survivor having survived wartime London, export and a prolonged period of non use in the USA, an epic return journey and four year meticulous restoration, it surely has had one of the most colourful lives of any RT. A superb and unique treat from our flagship vehicle for a Wedding, Birthday, Film, Reenactment or Corporate event. 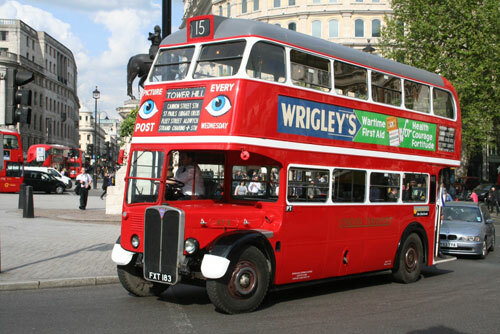 The first RT took to the road in service weeks before the start of World War II and hence became the only true Pre War RT, however with the other 149 of this batch entering service throughout the next two years before hostilities ceased, these first 150 are universally all known as the Pre-War batch. 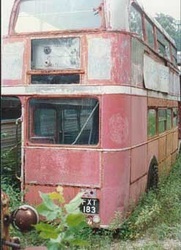 RT8 is a true survivor and has had one of the most colourful lives of any RT. It all started when the chassis was one of the first delivered to Chiswick on the 11th November 1939. 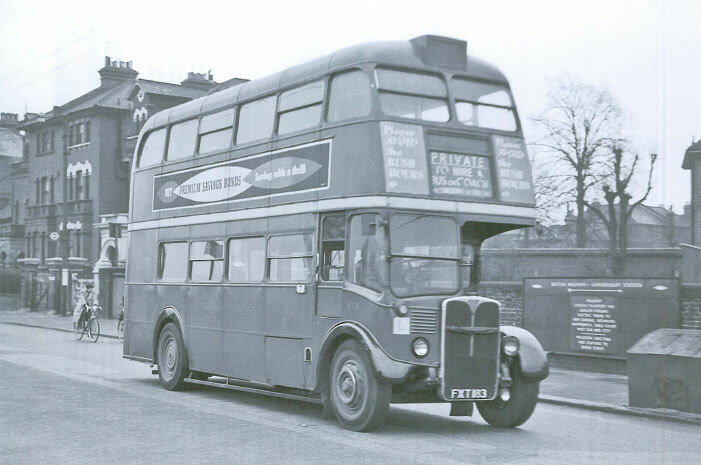 Unlike later bodies, that were built by commercial body builders, RT8 and all the pre war RT’s were all built by London Passenger Transport Board (LPTB) at their main Chiswick works in West London. Entering stock on 25th February 1940 with LPTB body 339 she was initially used for testing on what was at the time a revolutionary new design so good that RT’s would soldier on in service until 1979! 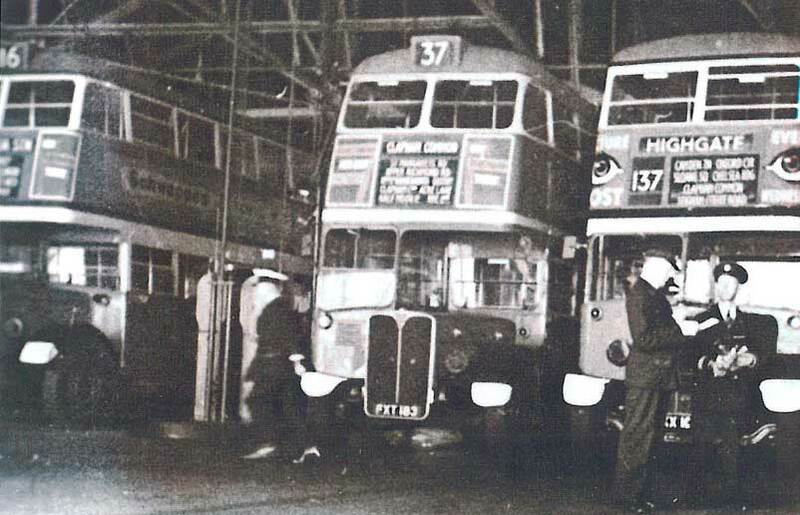 She eventually completed her testing phase and was transferred to Chelverton Road Garage (AF) Putney for passenger service on 30 April 1940, she entered service the following day alongside other brand new 2RT2′s that were grouped together at this garage. 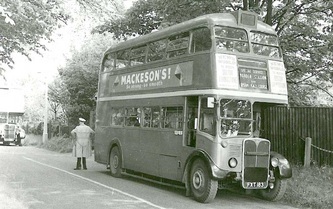 It was quickly found that the RT’s in service did not have brakes that were entirely up to standard and the entire batch required modifications. 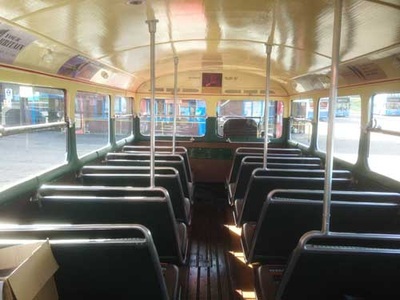 Some were done almost immediately whilst the majority had to be pulled off service and stored as due to war shortages the parts required to carry out the mods were in short supply. 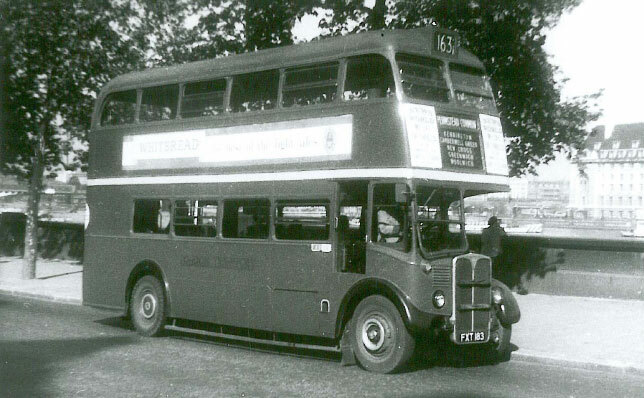 RT8 was de-licensed on 1 August 1940 and sent to Reigate Garage for storage. 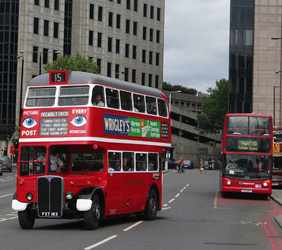 Some of the batch were used for basing Home Guard units in at key road junctions or buildings of importance but its not recorded if RT8 was ever used for this purpose. On the 28th October 1942 she transferred to the other Putney Garage which was also a user of the 2/RT/2 which was Putney Bridge (F). 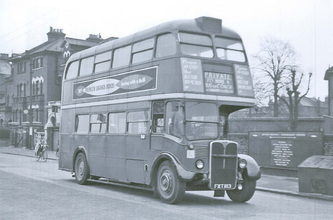 She then returned to Chiswick on 27 January 1944 for ‘overhaul’. 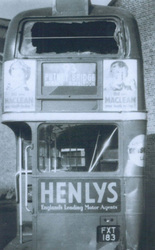 As overhauls had largely been stopped for the duration of the war, and unlikely to be absolutely necessary for a bus as new as RT8, why it returned can only be guessed at but it was released some 8 days later on February 2 1944 so damage caused by bomb blast is probably a likely cause that was beyond the ability of the home garage to rectify with so many shortages. 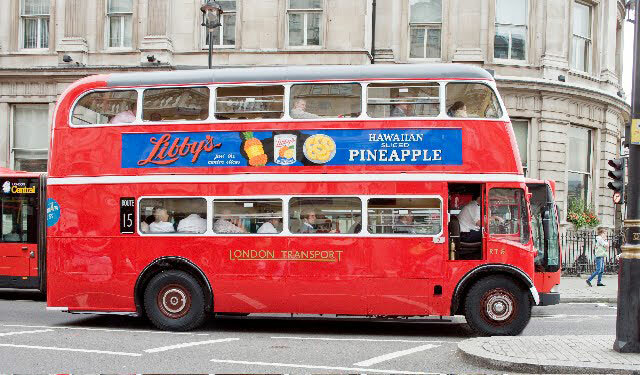 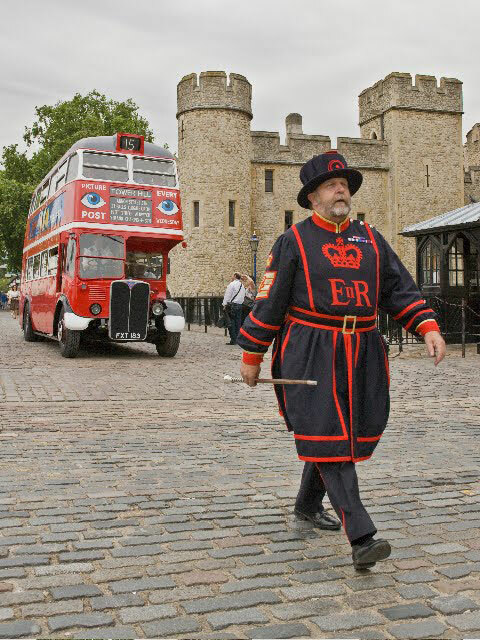 The end of hostilities bought a huge demand for leisure travel but London’s war weary fleet were struggling to take the strain until the new batch of post war RT’s could be delivered. In March 1947 RT8 went for its next overhaul returning to Putney Bridge just over a month later to help fight the ‘Battle of the Queue’ as people started to shake off the wartime dreariness and indeed the London Olympics of 1948 again increased demand and many of the ‘newer’ RT’s or recently overhauled ones were used to transport the athletes between venues. 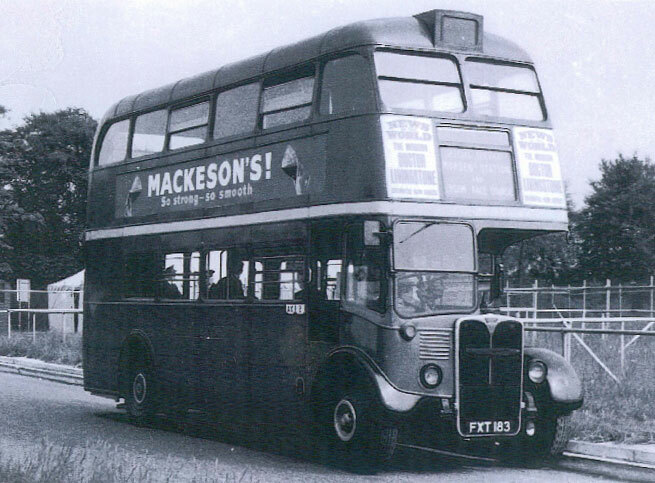 Her next overhaul was three years later in February 1950 from when she again returned to her home garage of Putney in April 1950 but then followed a brief stint at Hendon, training tram drivers to drive buses, before returning to Putney Bridge. 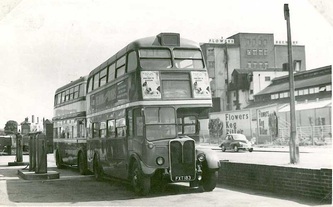 This stay at Putney was however to be brief arriving on June 1 1953 she returned for overhaul on 8 June 1953 and eventually was released for service on 5 August 1953 this time being despatched to New Cross Garage (NX) although as this was still being finished much of this stint would have been from Peckham. She continued to work in New Cross until the 31 May 1955 when she was readied to be used a training bus, she was transferred over to Clapham on 1 July 1955. As a trainer the vehicle had stints at Southall 1956, Leyton 1957 and Wandsworth 1959 before being withdrawn on 10 September 1959. 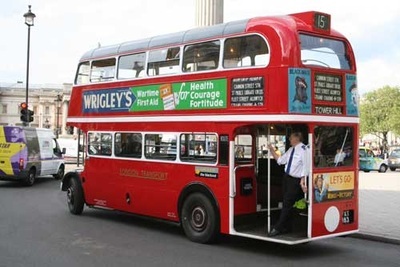 A picture has also been found of RT8 working on an Epsom Race Day Special from Streatham Garage (AK) but this does not show on any of her records but the photos prove it happened! 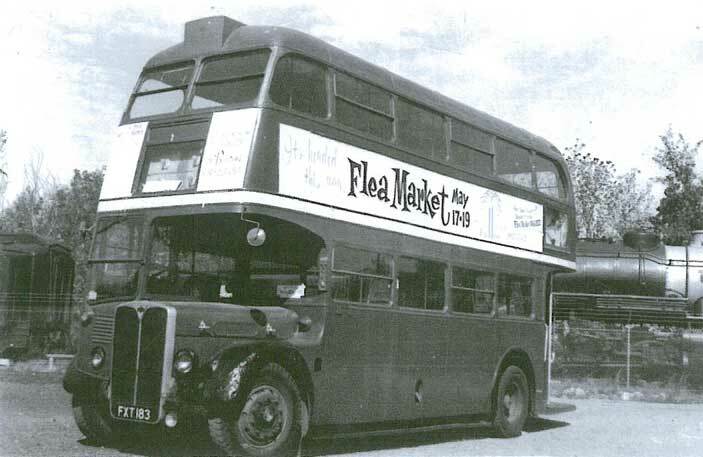 Storage then followed in Stockwell April 1960 and then Walworth June 1960, she was then sold to Birds Commercial Motors Ltd on 23 September 1960. 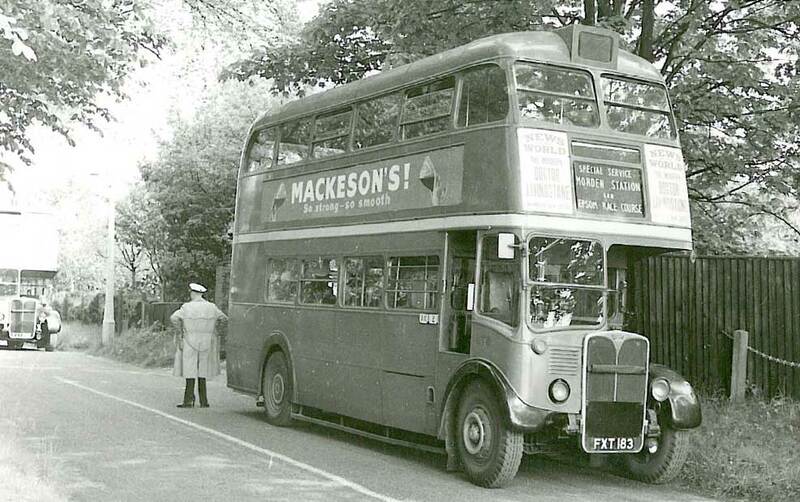 Along with 50 other 2RT2′s RT8 awaited her fate in Warwickshire. Unlike many others she was not scrapped and was still there in March 1961. 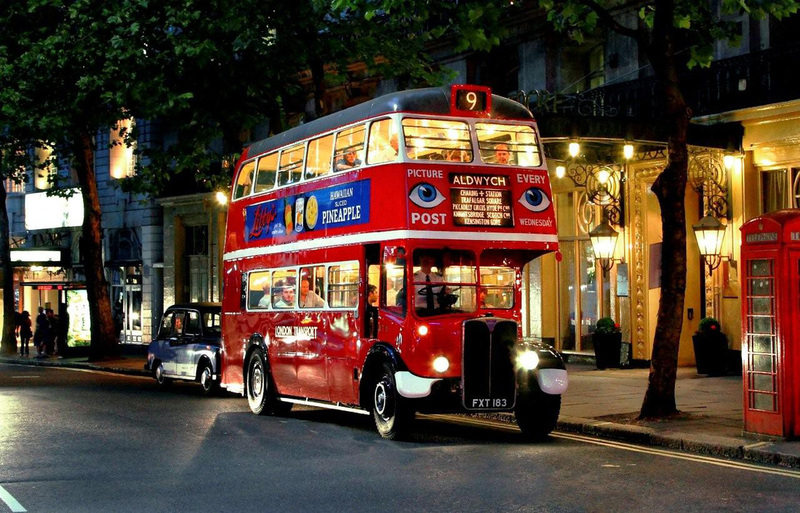 It was eventually sold on July 28 1961 and was readied for its new owner Caron Pirie Scott & Co of Chicago in the summer of 1961 and arrived (along with two London taxis!) 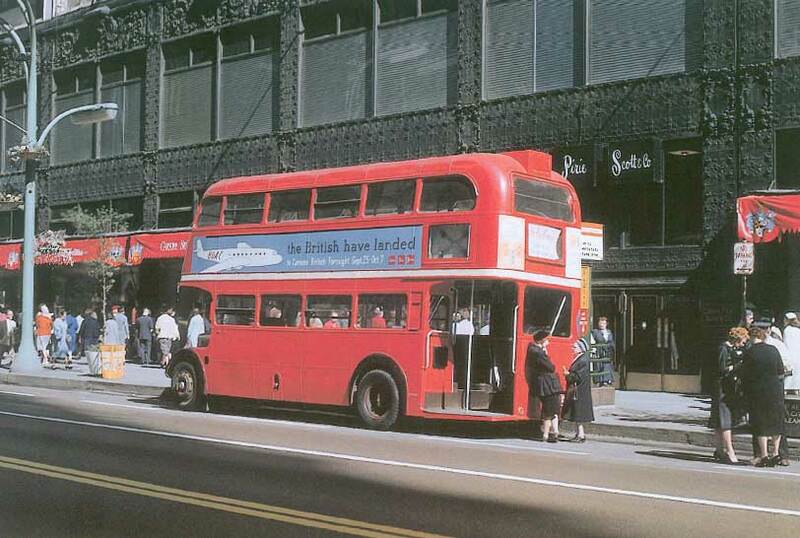 in Chicago onboard the ship Pinemore in early August 1961. She was then used in conjunction with the store and airline BOAC in promoting British goods on sale in the store. Following this promotion it was then used in the City of Peoria for the British Fortnight celebration in September/October 1961. 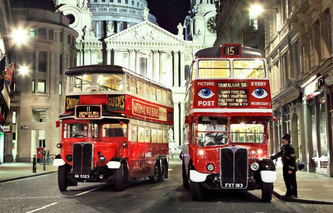 It was then routed back via St Louis to particpate in the ‘British Affair’ which was sponsored by the store Stix Baer and Fuller. 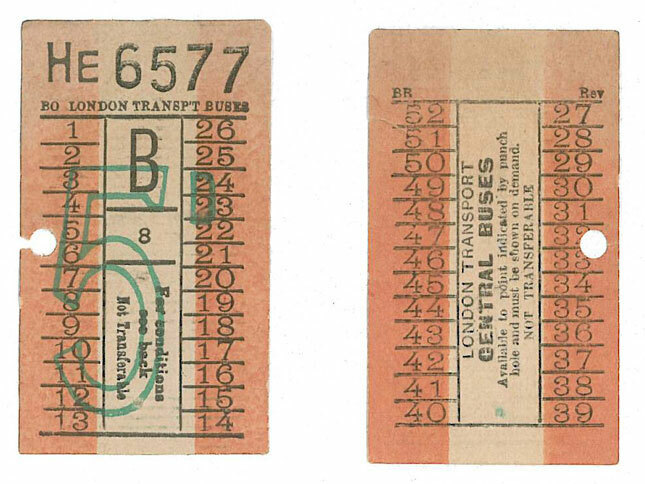 It was then involved in some promotion work with the airline BOAC who based it in St Louis from where it also did work for the Missouri Historical Society among others. 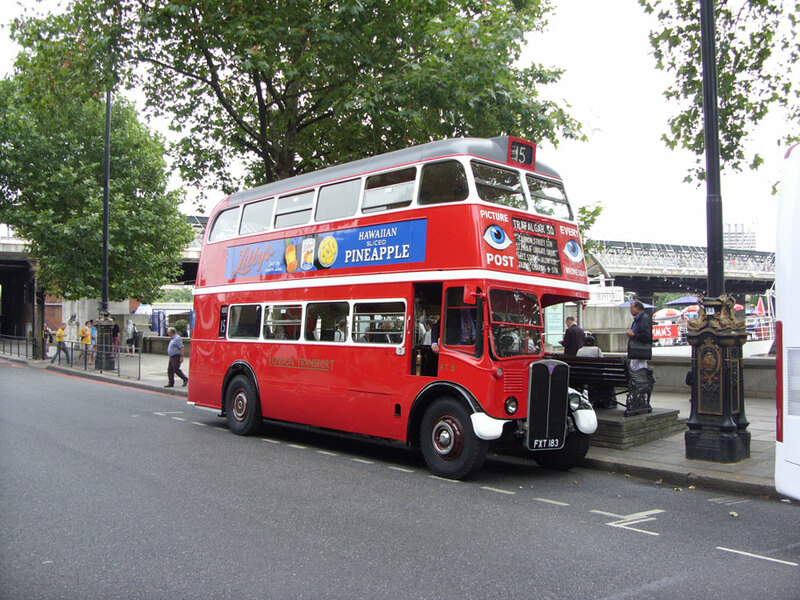 Following these jobs it was decided to donate the vehicle full time to the Museum of Transportation, St Louis Missouri and title was duly passed to them on July 17 1962. 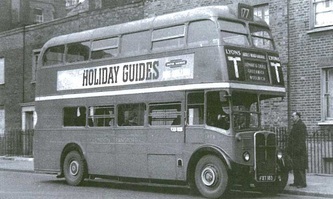 Whilst in St Louis it was used a number of times in 1962/3 on various promotions and shuttle services many of which received wide spread publicity. On September 9th 1965 the bus returned to Carson Pirie Scott via low loader train to be used in conjunction with another British fortnight and Import Fair at the store, eventually returning to the Museum of Transportation on 29 October 1965. Following this last jaunt to Chicago, RT8 was to stay with the Museum of Transportation in St Louis for the next 40 years. 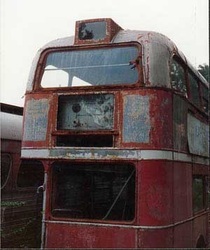 Initially used for various publicity events but later to fall outside of the collections policy the vehicle was put into long term storage.Initially from around 1970 this was outdoors but in the mid 1990s she was moved to an under cover facility whilst it was decided what should become of the survivor. 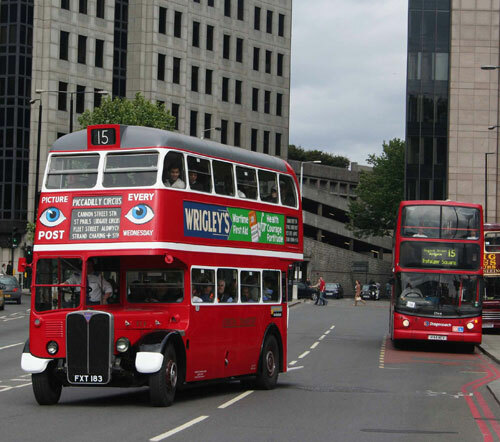 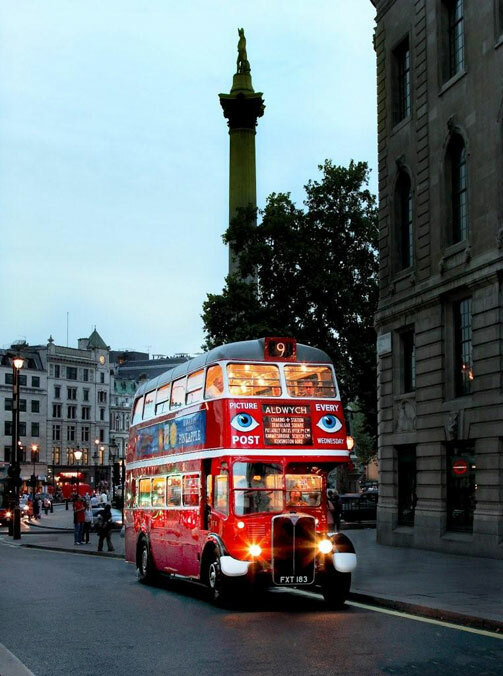 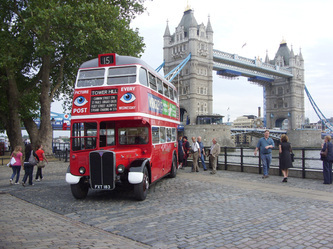 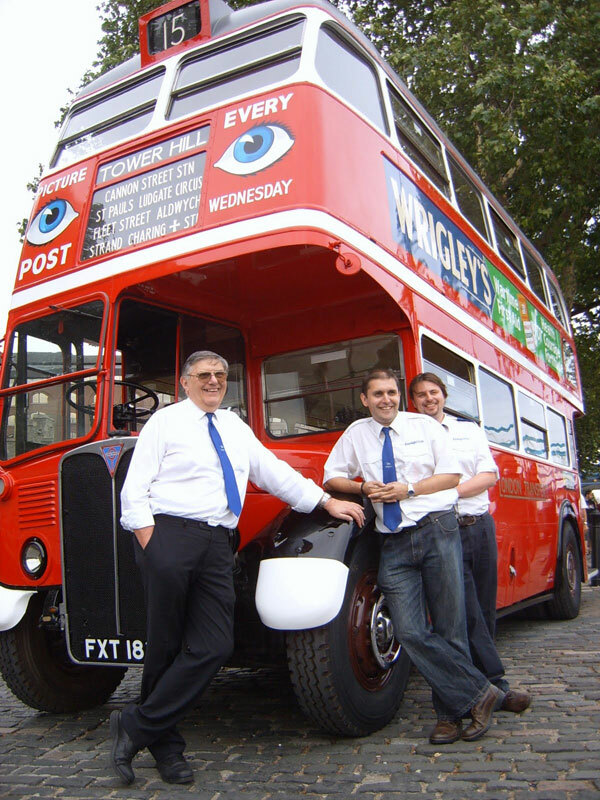 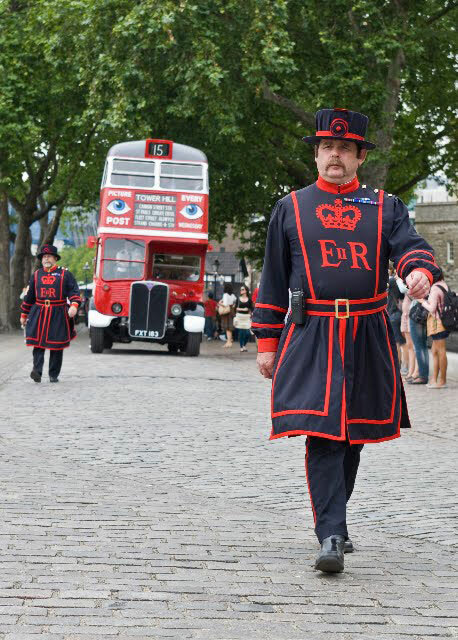 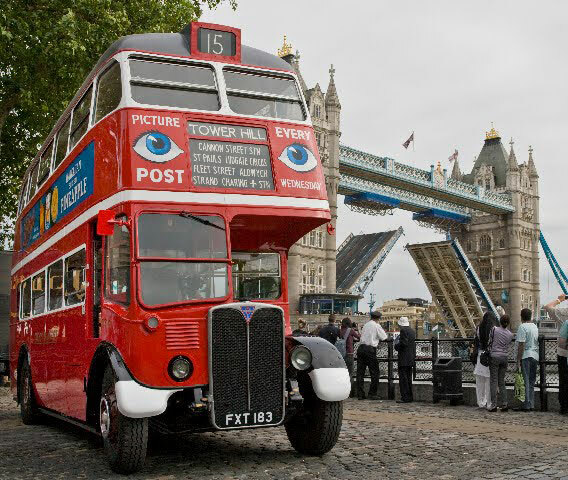 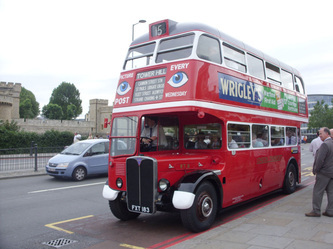 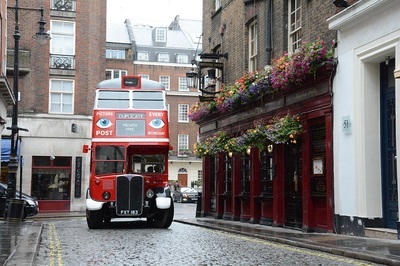 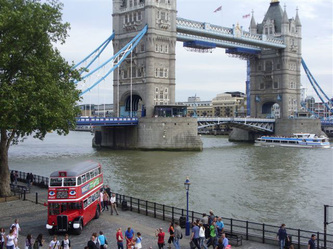 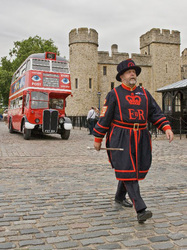 In 2004 Ensignbus approached the Museum with a view to finding out the condition of the bus and whether there was any possibility of acquiring the bus to bring back to London to join the Ensign Vintage Fleet. 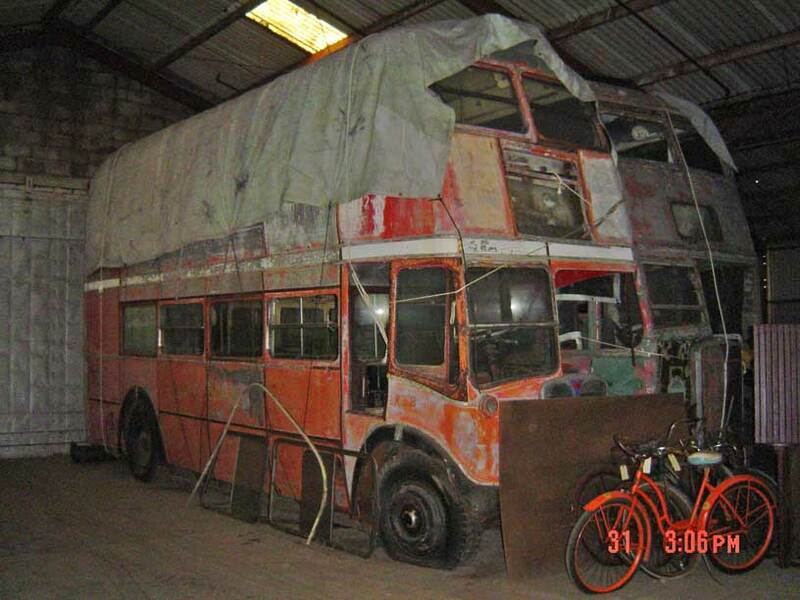 In late 2005 an agreement was reached that would see the bus able to return home and in late Feb 2006 an engineer was despatched to get the vehicle up and running for its journey home, this was started on March 7th and completed on March 13th when the bus was loaded onboard a ship destined for Southampton.